One of my earliest and fondest childhood memories is reading books with my parents. I have always loved reading, and that passion continues to this day. Now a mother myself, I hope to pass on my love of reading to my own daughter, by introducing her to books and stories. 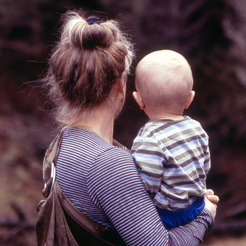 Babies have a natural curiosity and love looking at colours; they also love hearing the sound of their parents’ voices. If you’re wondering when the best time to start looking at books with your baby is – the answer is right now! It’s never too early, and you’ll be amazed how captivated even tiny babies are by books. A great place to get started is your local library, and you can even enrol your baby as a member (it’s free!) any time from birth. Libraries have children’s sections with bright colours and places to sit and look at books together, and you can borrow books for free to take home. The first time you visit the library with your baby, don’t be afraid to ask for help finding the most suitable books for your baby’s age. Also ask about what activities they have going on as there are often story and rhyme sessions which are free to attend. Board books are wonderful first books for babies because they can hold them and turn the pages themselves. My baby is only five months old and she already helps me turn the pages of books! They’re also hardwearing for babies who like to put things into their mouths! Interactive books such as pop up books or books with flaps to lift will excite and surprise your baby, stimulating her interest and helping to focus attention on the pictures. Look out for books with textures, and bright colours. Babies will love touching and feeling the different textures and be amazed at the colours. 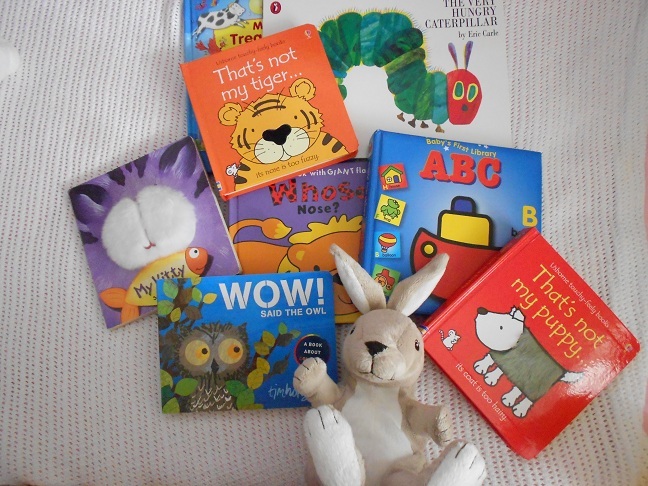 If you sign with your baby, books with animals and colours are perfect companions to sign language sessions, because you can show the picture to your baby while you make the sign and say the word, helping them to recognise the meanings. There’s a national initiative called Bookstart, run by the Booktrust charity with funding from the government which supports libraries and children’s centres with encouraging children to read. They even supply free books to children, the first currently being given out by health visitors around the time of the one year check. You can find out more about Bookstart at the website http://www.bookstart.org.uk/ . Of course, stories can start even before your baby is born; research has shown that babies can hear voices from within the womb, so why not read stories to your unborn baby. You might feel silly but your baby will love hearing your voice and may even respond with a kick! Reading books to your baby is the perfect way to spend quality time together and your baby will grow up associating reading with the happy, soothing tones of your voice.